Amanda is one of Ohio's best professional portrait photographers specializing in newborns, children, and families. With a brand new 1500sqft studio space nestled on the heart of the family's farm, the portrait experience families have come to know and enjoy is completely unlike any other in Central Ohio. Families are welcomed into our spacious, bright, and open concept studio space where you can simply take a deep breathe, relax, and enjoy your time here. While sessions are planned and styled according to your preferences, you’re invited to browse our boutique room to view and select any pieces you’d like to include or change for your portraits: blankets, backdrops, props for all ages, custom hand tailored outfits for newborn through 3T, deluxe headbands and premium bonnets, custom hats, premium layering pieces, maternity wear, etc. Everything is provided although any family heirlooms or special keepsakes are certainly welcomed and are happily incorporated into your session. Along with our studio portrait area, we also offer a dedicated area for natural light, lifestyle portraits that includes 20 feet of near floor to ceiling windows. This light and airy setting provides beautiful, relaxed, and natural portraits that feel much like you’re at home. While here, families are welcome to explore our farm including our half acre garden, visiting with our sweet animals, and exploring any of our barns or fields. 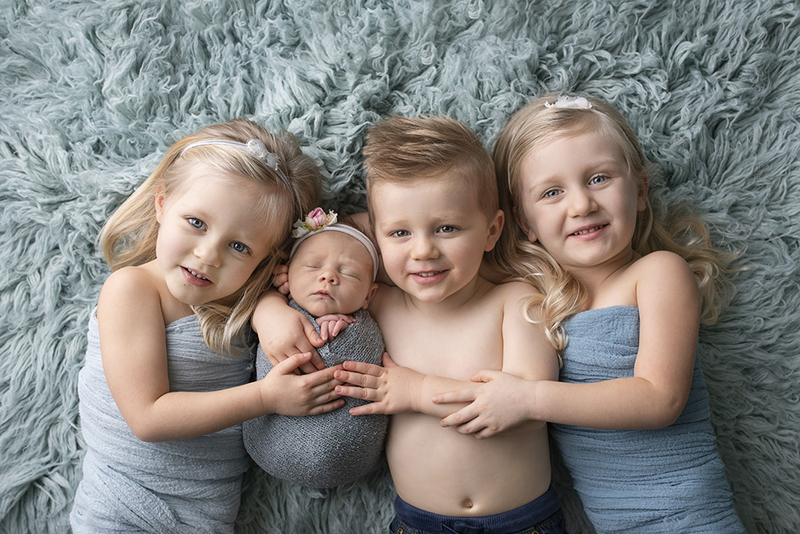 Especially for newborn portrait sessions, if there are siblings, we offer some fun activities to keep them happy, having fun, and learning about the animals while they’re here. Families are more than welcome to let the kiddos pick some things from the garden as well as take home some fresh eggs from our hens. There’s even a great place for a picnic under one of our canopy trees that kiddos have fallen in love with. It's truly a beautiful time spent together as a family away from the hustle of the city all while timeless family heirloom portraits are being created and preserved for you and generations to come. Whatever we can do to make you feel at home, and the portrait experience as stress free as possible, we are here to create that for you. You're not just another client to us. You're family. We can't wait to meet you and welcome you here!